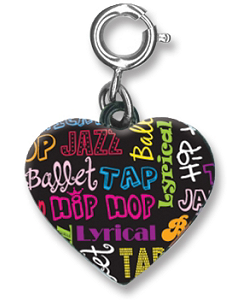 Celebrate different styles of dance and show off your moves with a CHARM IT! World of Dance charm. 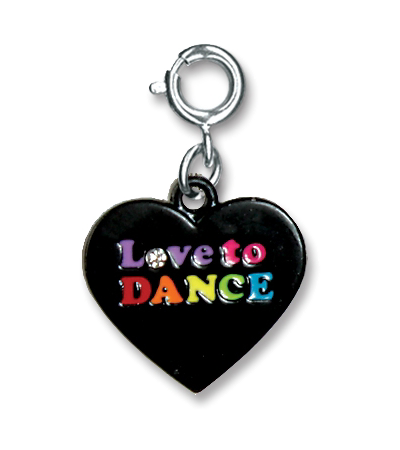 The front of this heart-shaped dance charm displays many styles of dance in colorful letters and "Love to DANCE" in colorful letters with a sparkly acrylic stone for the "o" in "Love" on the back (not shown). With a simple snap of a clasp, girls can personalize their CHARM IT! jewelry with this CHARM IT! World of Dance charm. 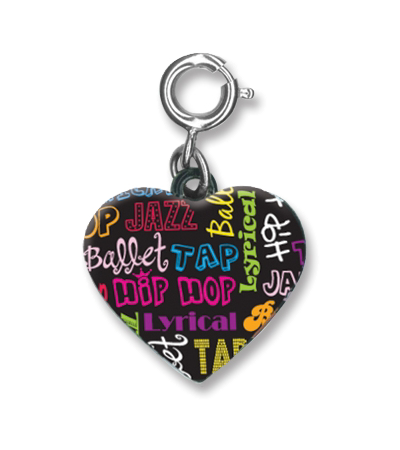 Celebrate the love of dance with this beautiful CHARM IT! I Love Dance charm. The gymnast in your life will flip over this colorful CHARM IT! Gymnastics charm. Little dancers everywhere will love this prima ballerina’s pose on a pink heart background. You and your teammates will score with this CHARM IT! Pink Soccer Ball charm. Charm this rainbow double link charm bracelet with favorites and show off a collection in color. Celebrate the spirit of a ballerina and the art of her dance with this beautiful Ballet Dance Glitter Heart charm. This sporty Sports Star Bag charm has two balls popping out of the top and water bottle dangling from the side. Your child will love being the star of the recital in The Ballerina Princess, this charming and wonderfully illustrated personalized children's book.